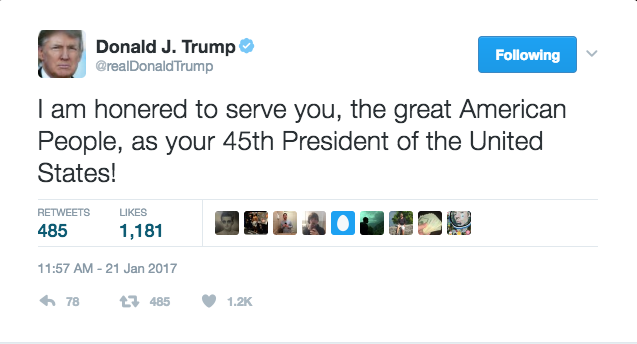 As I pointed out a few days ago, (among other justifiably sarcastic observations, this misspelling is actually a result of the complimentary harmonica which this most un-musical of presidents recieved (sic)_ as an ‘unpresidented’ (sic) gift from the Hohner firm, a German manufacturer of fine musical instruments. Perhaps in hopes of being exempted from a 40% import taxes currently being ‘vetted’. I do, and I shall. Thank you, Yonatan, for your amusing observations.